On 2/10/19, at approximately 0057 hours, Morgan Hill Police responded to Strixe Bar located at 650 Tennant Station on a report of a disturbance with weapons involved. Officers quickly arrived at the scene and initiated an investigation. Based on witness statements and video surveillance, it was determined there was a shooting in the parking after an altercation inside the bar. The shooting occurred in the parking when the suspect vehicle was leaving the area. No one was reported injured and there is no known property damage at this time. MHPD detained several subjects at the scene and are following up on witness statements. The suspect vehicle is believed to be a newer silver Honda Accord or similar model. It was last seen fleeing the area towards Monterey Rd with multiple occupants. 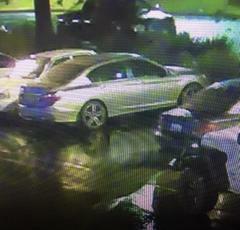 The attached photographs are of the suspect vehicle located in the parking lot prior to the shooting and a female passenger. 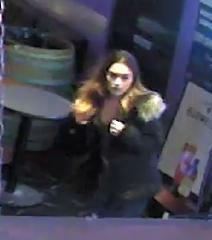 The unknown female subject depicted in the photograph is a person of interest at this time. MHPD officers interviewed several witnesses at the scene and obtained surveillance video from surrounding businesses. Detectives are actively investigating this incident and are requesting the help from any additional witnesses. Anyone that may have additional information related to this incident is encouraged to contact Detective Sergeant Bill Norman (669) 253-4982 or Detective Kathleen Price (669) 253-4985. Witnesses can also contact the anonymous tip line at 408.947-STOP (7867).